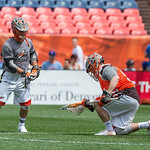 The MMLL Major League Lacrosse game between the Denver Outlaws and the Charlotte Hounds at Sports Authority Field at Mile High in Denver, Colorado on May 7, 2017. 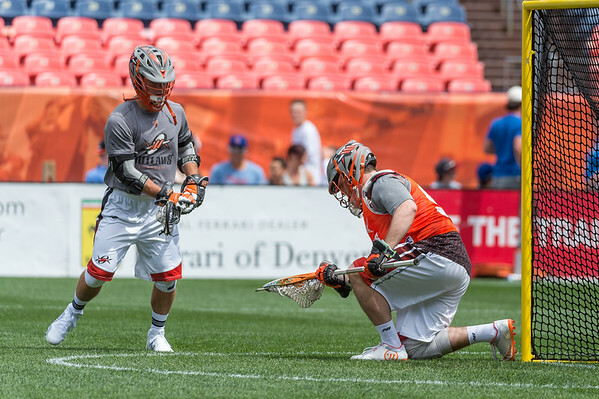 The MMLL Major League Lacrosse game between the Denver Outlaws and the Charlotte Hounds at Sports Authority Field at Mile High in Denver, Colorado on May 7, 2017. Final score of the game was the Colorado Rapids - 11 and the Charlotte Hounds - 7. 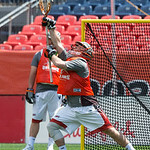 May 7, 2017, Denver, Colorado, USA; Denver Outlaws Goalie Jack Kelly (94) warming up prior to the start of the MLL Major League Lacrosse game between the Denver Outlaws and the Charlotte Hounds at Sports Authority Field at Mile High in Denver, Colorado. Final score of the game was the Denver Outlaws - 11 and the Charlotte Hounds - 7 .